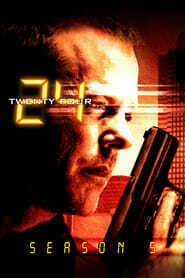 Season Five, also known as Day 5, of the television series 24 premiered on January 15, 2006 and aired its season finale on May 22, 2006. The Season Five storyline starts and ends at 7:00 a.m. – the same time frame as the previous season. It is widely considered to be the series’ most acclaimed season by fans and critics alike, scoring the show’s highest ratings and receiving twelve Emmy Award nominations with five wins including Best Drama Series.